Selecting a theater company from among the myriad of performing arts groups in the Greater Raleigh area is certainly an exciting task. The numerous theater companies, drama troupes and other dance and musical performing arts groups of critical acclaim offer an impressive repertoire of classic shows and original productions. Raleigh Little Theater (RLT) in particular, offers audiences a unique amalgamation of local talent, quality entertainment and Raleigh history. The Theater has been bringing the drama to Raleigh since its inception in 1936. RLT was founded when a group of actors combined forces with workers from the Federal Theater Project, a New Deal venture to fund theatre and other performing arts projects in the U.S. during the Great Depression. The idea was to bring a community theater to the Raleigh area, an endeavor that continues to thrive 77 years later, making the nonprofit theater one of the oldest continuously operating community theaters in the country and a staple of the local arts community. RLT produces four full productions, ringing in more than 150 individual performances each year. The theater itself is a charming example of early modern classical style, an appropriate design harkening back to the origins of dramatic theater in ancient Greece. The property rests on what long ago served as the State Fairgrounds and a horse racing track until 1925, when the city took ownership of the land. Eight years later the theater moved from its original location in downtown Raleigh to its new theater in its present location on Pogue St.
Touching the backside of the theater complex is one of Raleigh’s precious natural gems. 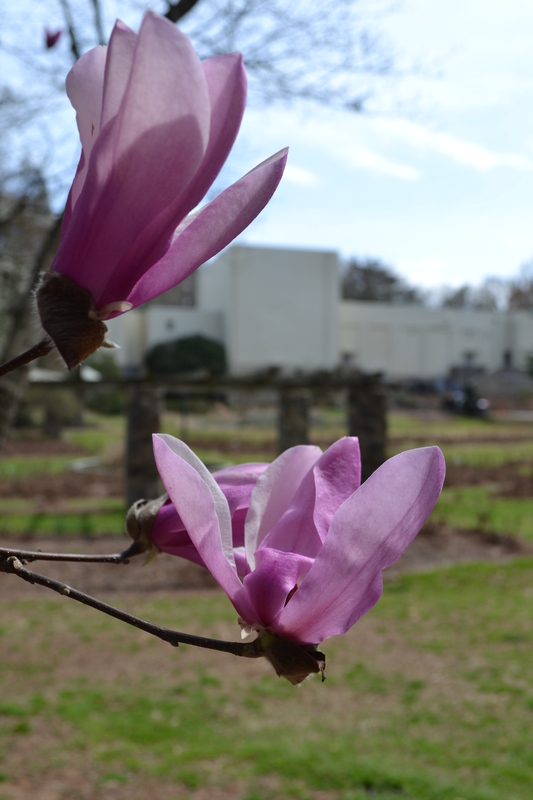 The Raleigh Municipal Rose Garden is a breathtakingly beautiful spot, a site that is a shame to miss when the flowers are in bloom. The garden is a work of art in and of itself and serves as a fairytale venue for weddings and fetes of all kinds, as well a Sun. stroll or spontaneous picnic. When the sun once again warms the sky, the Rose Garden’s 60 beds awaken with more than 56 varieties of blooms. 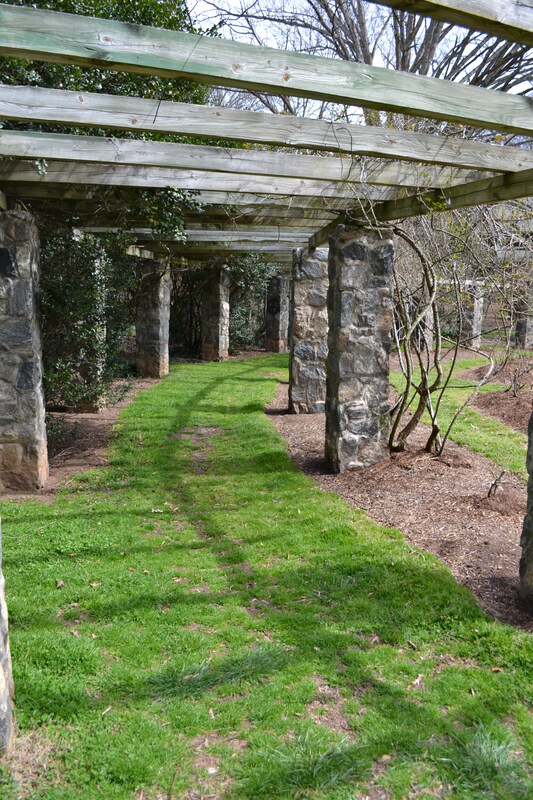 In the summer months the outdoor amphitheater adjacent to the garden hosts theater productions and concerts. On warm summer nights, head to RLT and the Rose Garden to get a double dose of pleasure in the thrill of outdoor theater while the luscious smell of roses wafts across your consciousness. The repertoire of RLT is vast and impressive, ranging from Shakespearean classics to The Rocky Horror Picture Show. All costumes and scenery settings are produced on-site and in-house by a talented group of passionate artists. Legendary names such as Andy Griffith, Clay Aiken and Evan Rachel Wood have appeared on the marquis, actors who nurtured their beginning talents on the RLT stage. As well as endowing the Raleigh community with exemplary theatrical performances, RLT provides children and adults with nationally acclaimed arts education. Starting this weekend, RLT will put on Tigers Be Still, a comedy with heart about an unemployed art therapist and an escaped zoo tiger. Quite intriguing. Beginning Apr. 12, Oscar Wilde’s beloved play The Importance of Being Earnest will begin a three-week run. This will be the theatre’s third run of the show, their first production of this particular play was staged during the theater’s second season in 1936! Check out upcoming performances and schedule your next trip to Raleigh Little Theater here.